Looking for a Drug Rehab or Alcohol Treatment Center in North Carolina? Alcohol and drug addiction don't have to cause any more consequences for you or a loved one in North Carolina, and there are drug rehab programs to help with any type of problem no matter how severe. Whether a drug or alcohol problem has persisted for a short amount of time or has been a lifelong struggle, drug rehab programs in North Carolina can intervene as modestly or intensively as necessary based on each client's individual needs. So when someone you care about has a problem, or perhaps you are reaching out for help on your own, a professional treatment counselor in North Carolina can help make the process of getting started in rehab much easier and smoother. Make the call and speak with a treatment counselor in North Carolina today. In a single-day count in 2013, 40,575 individuals in North Carolina were enrolled in substance use treatment which was an increase from 28,997 individuals in 2009. Among residents enrolled in treatment that year, 44.0% were in treatment for drug use only, 14.6% were in treatment for alcohol use only, and 41.4% were in treatment for both drug and alcohol use. The largest percentage of residents were there for abuse or dependence to marijuana, but following close behind is heroin and other opiates including prescription pain killers at nearly 20% of treatment admissions. Alcohol is one of the biggest drug problems in North Carolina, with an estimated 406,000 individuals aged 12 or older being dependent on or abusing alcohol within the past year. However, there is a significant gap when it comes to residents who are being treated for the problem, with only 7% of alcohol abusers and those who struggle with alcohol dependence receiving treatment. Alcohol is also frequently part of a bigger poly-drug abuse problem, so this also must be addressed concurrently and just as aggressively while in treatment so that the individual isn't prone to relapse. In North Carolina, most drug rehab programs in the state are prepared and experienced in treating poly-drug use problems and alcohol abuse as one in the same but there are also centers designed to specifically deliver alcohol treatment. So it is very important that individuals receive early intervention and close the gap for those who need but aren't receiving alcohol treatment, and that they are placed in the right rehab in North Carolina based off of an accurate assessment of their needs. There are nearly 450 drug rehab programs in North Carolina, with outpatient drug treatment programs accounting for 83% of the treatment available. As far as outpatient options go, there are 74 facilities administering opiate maintenance services to nearly 15,000 outpatient clients daily. This should come as no surprise seeing that the heroin and prescription pain killer epidemic has certainly not spared the state. These clinics administer prescription drugs such as methadone and buprenorphine to clients who are opiate dependent, but treatment beyond this is usually only available in other outpatient, inpatient or residential facilities if the client is looking to be truly dependent of all drugs. There are many alternatives, including 82 residential non-hospital facilities and 26 inpatient facilities which can help an individual abstain from all drugs so they can avoid such a burdensome daily maintenance routine. What does Inpatient Rehab in North Carolina Involve? There are not only 26 inpatient programs in North Carolina, but there are also 82 non-hospital residential drug rehab programs which provide both short and long term treatment. Inpatient treatment in North Carolina consists of services which can vary from detoxification only or services to address the client's addiction beyond the short term physical symptoms so that they can have a better chance of staying sober. Only 19 of the inpatient programs in North Carolina deliver actual treatment beyond detox, so clients and their loved ones should keep this in mind. A residential stay in any one of the 82 such facilities in North Carolina includes either a short-term stay of 30 days or less or a long term stay of 90-120 days. Long term residential facilities have proven to be the most ideal environment for individuals with more serious drug or alcohol problems and for clients who have had unsuccessful stints in outpatient rehab in the state. Clients can take part in both traditional and alternative therapies including holistic treatment services in the state, as an alternative to disease model and 12-step programs or those which incorporate both. What does Outpatient Rehab in North Carolina Involve? Out of the 360 outpatient drug rehab programs available in North Carolina, most deliver a modest level of regular treatment services although there are 176 programs which provide services a bit more intensively 3-4 days per week. 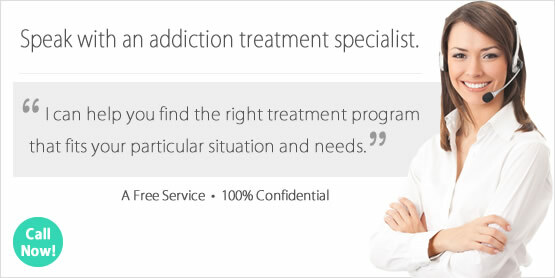 Services can include relapse prevention activities, therapy in both a group and individual setting, and 64 programs offer day treatment/partial hospitalization which is an ideal option for clients with more extensive addiction issues or perhaps someone who has been diagnosed with a co-occurring mental health disorder.